We are a local Northern Colorado dog training business. We specialize in all aspects of dog training but we were born from training working line dogs that are used as personal protection dogs, police dogs and as military working dogs. We are based out of Loveland, Colorado and have clients in all areas of the state. We work closely with multiple trainers in the state and are constantly striving to help the community out with their dogs. Our pricing is based on a case by case basis and we have multiple programs that you can enroll your dog in. We highly recommend training with your dog outside of our sessions, as it will grow your bond together and you will learn so incredibly much about your dog. When working with us you will see a drastic improvement in your dog’s behavior and obedience. A protection dog is a great responsibility and requires a large time commitment as well as dedication to the program. We prefer to train you and your dog at the same time. We want the dog to bond with you as much as possible, but we can and do board and train your dog as well for specific cases. Please reach out to us and we can help figure out exactly the best plan of action for you and your dog. 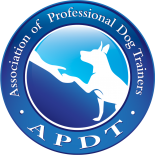 We look forward to hearing from you and helping you reach your dog training goals. Give us a shout we’d love to chat with you.